Proteome Systems ElectrophoretIQ 3 Gel Electrophoresis DNA Analysis . New Life Scientific, Inc. 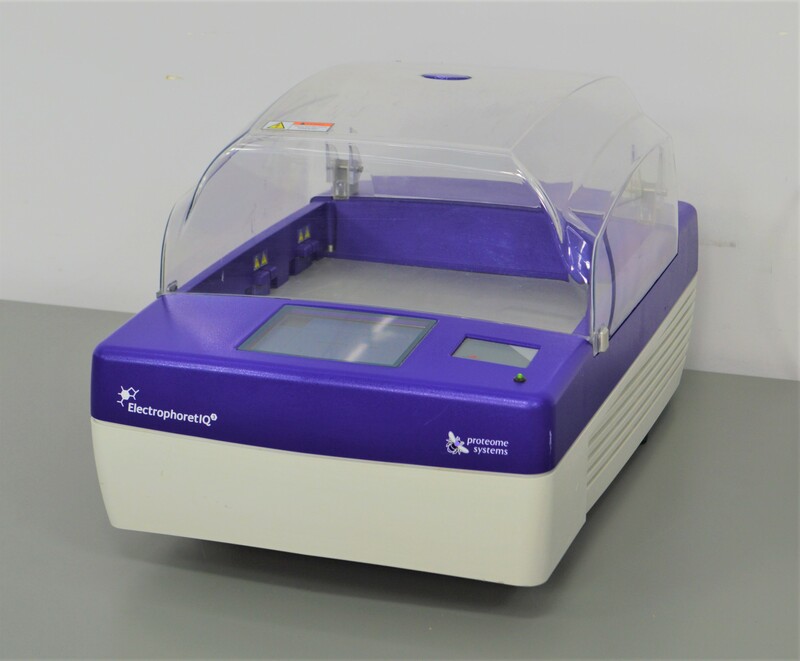 This ElectrophoretIQ 3 is in good cosmetic condition and initializes properly. The instrument has a large sample capacity and transparent hood, making it easier for the operator to process many samples while being protected from risk of electric shock. This electrophoresis system is built to last and would make for an excellent addition to any laboratory conducting DNA fragment separations. Our in-house technician visually inspected and initialized the ElectrophoretIQ 3, confirming it to pass initialization. The display and GlidePoint touchpad are both fully functional. No further testing was done.